These days, the Shotover and Kawarau Rivers are a playground for Jet boats, white-water rafters and fishermen. What many may not know is that the mighty Kawarau and Shotover have their roots in rich gold mining history and are an important part of Queenstown’s pioneering history. Kawarau Jet Services, now trading as KJet was born in 1958, when Lakeland Christian camp trustees and Invercargill brothers Alan and Harold Melhop, made the first jet-powered navigation of the Kawarau Falls dam in the newly designed Hamilton Jet. 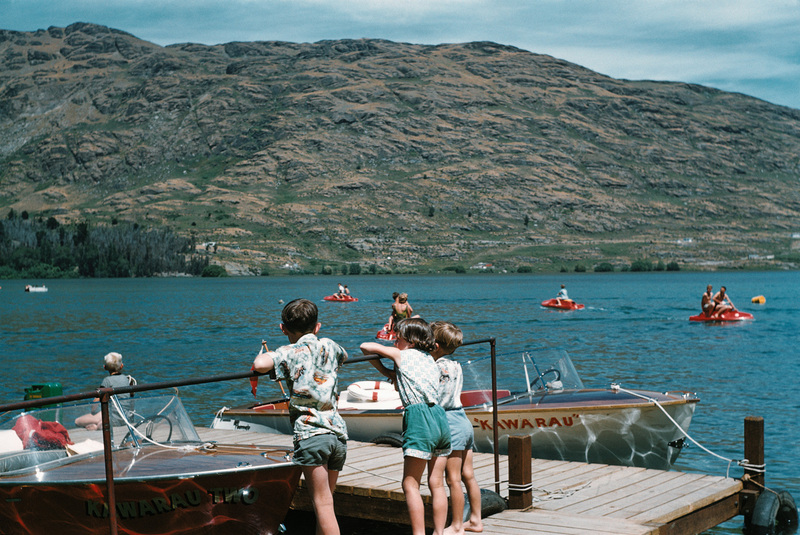 The brothers soon found that Queenstown holidaymakers would line up for rides on the thrilling new boat and shortly after, the world’s first commercial Jet boat company was in business. The first European settlers arrived at in the Wakatipu region in late 1861. Welshman, William Gilbert Rees had recently taken a lease on all the land at the Head of Lake Wakatipu and was joined by three shepherds. Rees is affectionately considered the founding father of Queenstown and was credited with the naming of the Shotover River. The world-famous Shotover River was one of the richest gold-bearing rivers in the world, and gold was first discovered in Arthurs Point in 1862. Prospectors, miners and fortune seekers flocked to Queenstown where the river was cradled, sluiced and dredged. The rush was short-lived as gold was discovered on the West Coast of the South Island and many miners moved on. The river had multiple names before Rees coined the name ‘the Shotover’ after his business partner, George Gammie’s English estate Shotover Park. The early gold miners referred to it as the ‘Overshot’, and the river had been previously called ‘Tummel’ by two Scottish pioneers named Donald Angus Cameron and Angus Alphonse Macdonald who had passed through the Wakatipu before Rees. The Kawarau River didn’t give up its gold secrets until the 19th century, when alluvial gold was extracted from the river. The Kawarau is the only river to drain out of Lake Wakatipu, the third largest lake in New Zealand. In 1924, a company was formed to temporarily block this outlet from Lake Wakatipu with the intent of draining the top of the river and revealing a ‘treasure trove’ of gold from the river bed below. Ten massive gates were built under the now historic Kawarau Falls Bridge, and on the 30 August 1926, the gates were lowered in front of hundreds of spectators, and hundreds more who had staked claims along the banks of the river. Unfortunately, the venture ended up being an expensive one, as the river only dropped around one metre, which wasn’t enough to expose any gold bearing rock. Nowadays, the historic Kawarau Falls Bridge is a passenger bridge, with the much-anticipated two-lane Kawarau Bridge opening in 2018. 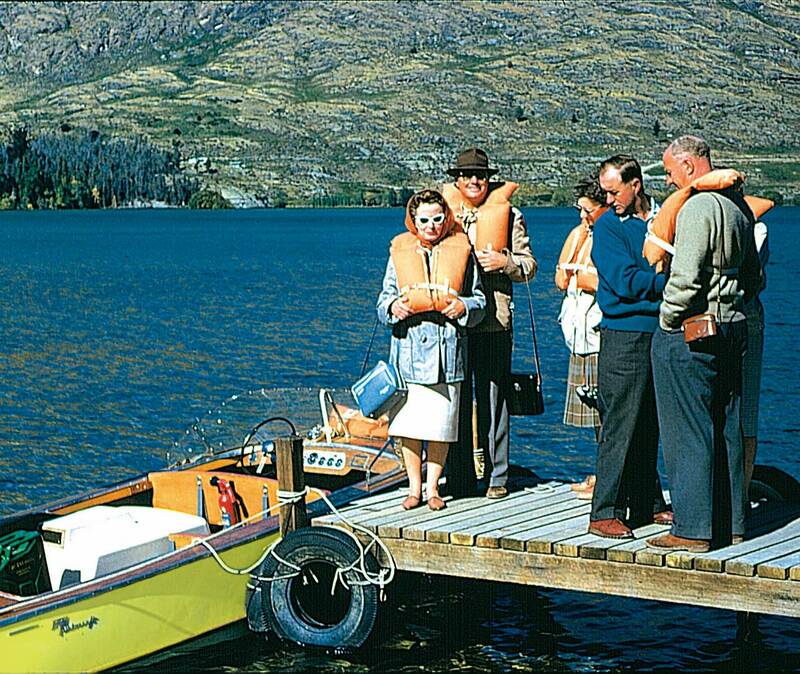 In 1960, Kawarau Jet Services moved operations from the Frankton Jetty near the Frankton Campground to the Queenstown Main Town Pier. 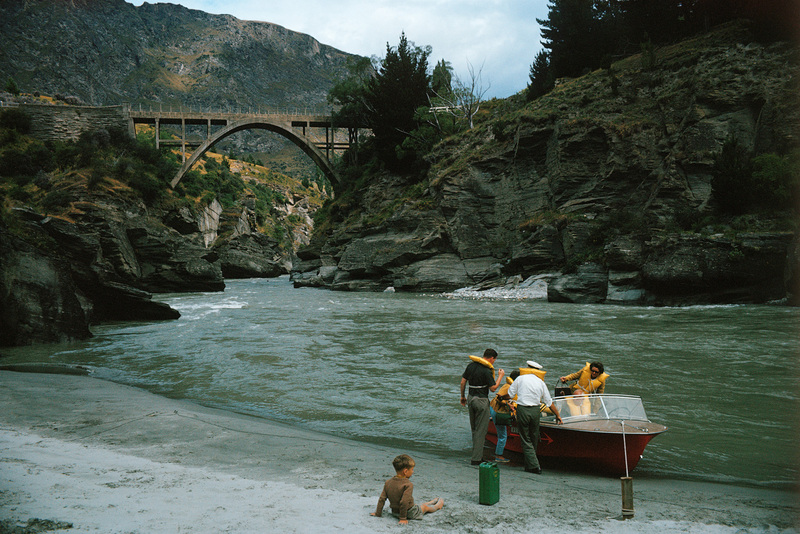 Soon after, the Shotover extension was added providing a true safari from the Queenstown Main Town Pier. This involved a journey down the Kawarau and up the Shotover River, through the Canyons and under the Edith Cavell Bridge as far as the Oxenbridge Tunnel and return to Queenstown. 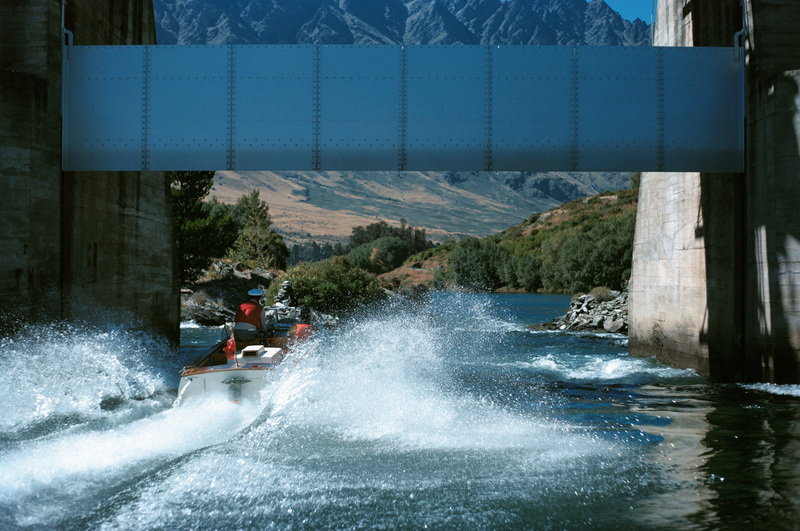 The tradition of innovation continues with the modern KJet trip still taking passengers down both rivers that form an important part of Queenstown’s pioneering history and passes under the two Kawarau Falls bridges on the 45-kilometre round trip starting at Lake Wakatipu. To learn more about the history of Queenstown, book one of our trips, and hear from one of our local Jet boat driver guides.